The USSR, 1925 - 1934. Top Party leader Peter Shakhov struggles against representatives of the Trotskyite-Zinoviev bloc, whose leader is Kartashov. In time, this struggle will be a matter of life and death. The film's plot is filled with sharp disputes and dialogues between the irreconcilable opponents. Shakhov recognizes the opponent to socialist competition in Avdeyev, the director of the factory "Red Metalist" and appoints the fanatical Bolshevik Nadia Kolesnikova in his stead to further Soviet ideals. This causes Avdeyev to become more than just a pest to Shakhov. Eventually, Shakhov's enemies avenge themselves on the popular Party functionary: Shakhov is shot by a man, who's hiding behind one of the doors to the House of Culture, which Shakhov is visiting. At film's end, Soviet citizens vow over Shakhov's grave, that his work will be continued and none of his enemies will escape justice. 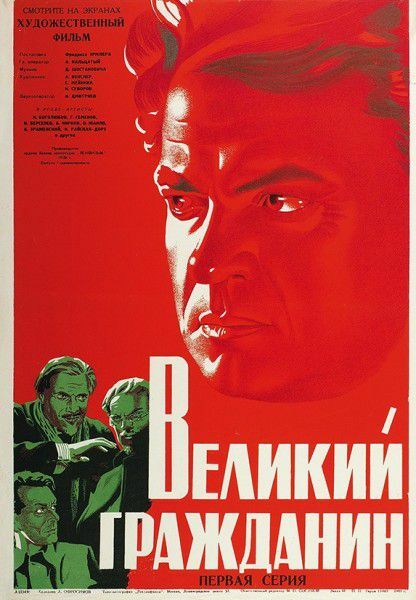 If all of this sounds familiar to students of history, it should: the film is a fictionalization of the life and times of Kirov (according to the Party's view, that is), who was shot, not by enemies, but by Stalin's men, because he was getting too popular with the people of Leningrad. The film was viewed as an apologetic for the Great Purge, which had begun the year prior to its release. 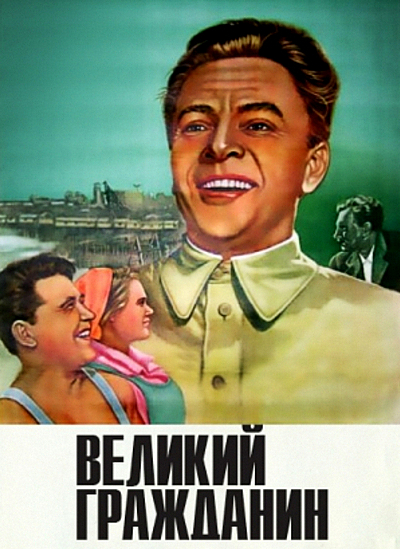 It was extremely difficult to cast actors into the roles of negative characters, as no one wanted to risk being associated with anyone hostile to Soviet power. Stalin himself "assisted" with the script and the music score was provided by Dmitri Shostakovich. The film consisted of two series, the first being released in 1937; the second is 1939 (both are on this DVD). The film was also notable for being the first to be experimentally broadcast on Soviet TV in 1938. How significant this film was to the Party line is indicated by the fact that there were repeated cases of sabotage during filming; including one incident where the cables to the searchlights were found cut by an axe. By the end of its filming, four crewmembers had been arrested and two of them shot. DVD-R is in Russian with switchable English subtitles. Approx. 232 mins. See film sample for audio and video quality! How happy i was to finally get this film about the Soviet leader Kirov. The movie is very long and in 2 parts. But the film was so riveting that the time just flew by. The film shows the inter party struggle during and right after the NEP. It shows the degeneration of the opposition against the Soviet government from arguing to out right treason. This film shows the honest aspirations of the Soviet people to try and build a better life and those who were dishonest and morally weak who would try and stop them.The ending is very moving and inspiring. I hope you release more Soviet films from this period,they are very entertaining.